Visit www.armorpt.com for locations and contact information. Run Coaching: 10% discount per month off monthly run coaching programs. Start-up fees waived with a 3 month commitment. Metabolic Test & Class: 20% off. The regular price is $149. ($119 KAR price). 20% off private consults and all other ME Services. The Metabolic Efficiency Class includes an ME Test, and a 2 hour training to teach how to understand your test results as well as how to train and eat to become more metabolically efficient. For more information visit the Athletic Mentors website or call 664-6912. Please use the standard KAR discount code when booking services. Baker Strength and Conditioning is owned and operated by Aaron Baker, a Certified Strength and Conditioning Specialist through the National Strength and Conditioning Association with a Masters Degree in Coaching from Ohio University. He has been in the Strength and Conditioning profession for approximately 7 years and has owned Baker Strength and Conditioning for 4 years. He has coached at the collegiate level for Louisburg College, Kentucky Christian University, and TCU. He has worked with athletes and runners of all different sports and abilities. He became an an All State Track Runner at Constantine High School, an All-Conference Wide Receiver on his college football team, an All-Conference Triple Jumper on the Albion College track team, and has completed one full marathon and several half marathons. His gym is located just south of Schoolcraft right off 131. It is a sessions based gym focusing on functional strength and conditioning. He holds Personal Training sessions, Small Group (Adult) training sessions, and Athletic (MS/HS) Performance Sessions. Baker Strength and Conditioning is offering KAR Members the initial required Movement/Assessment Session for free ($45 value) and the first training session, either personal training or small group session, for free ($15-$40 value). Baker Strength and Condition is located at 3952 W XY Ave, Schoolcraft, MI 49087. To schedule a session or receive more information, call or text 269-816-3105. Aaron can also be reached by email at coachbaker83@gmail.com. For more information on joining, contact membership at 544-3200 or stop by and mention KAR and the member discount code. Cereal City Athletics is offering KAR members discounts on all of its 2019 events. Visit the Cereal City Athletics website to learn more about Cereal City Athletics and to register for their 2019 events. Cereal City Athletics uses the RunSignUp registration platform, so KAR membership will be automatically recognized. CORE is a tool for athletes of all levels. They help create nutrition plans for training or big events. Special plans available for Boston & Kalamazoo Marathons. Visit www.fuelthecore.com for more information. To receive the deal, use the standard four-digit KAR discount code upon checkout. US Cryotherapy – Kalamazoo’s mission is to provide individuals with a safe and natural alternative to their health and wellness needs. Cryotherapy treatments can aid in fighting inflammation, pain, and promote faster recovery. Must schedule ahead of time. One FREE yoga class each year of KAR membership (to be used on date of choice for any weekly drop-in class). 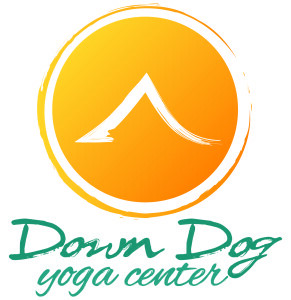 $5 off a 5 Class Pack (normally $75 – only $70 for KAR members). Please have annual KAR discount code at time of purchase. For more information visit Down Dog Yoga Center online. Gazelle Sports, newly remodeled and conveniently located in downtown Kalamazoo, is offering 10% off regular priced footwear purchases year-round for all KAR Members! Discount can be applied in-store only at this time. Visit http://gazellesports.com or at their store locations for more information on available footwear. The Kalamazoo Athletic Wellness Sports Massage Center is a sports minded massage facility. Kalamazoo Athletic Wellness is southwest Michigan’s #1 provider of therapeutic and sports massage! Their Sports Massage Center offers a full postural and gait analysis as part of your initial consultation. You can use their convenient online scheduling at www.kzooathleticwellness.com, or call 269-373-1000 to schedule. KAR members receive 50% off the Bronze Wellness Membership. Cannot be combined with other discount offers. Orangetheory Fitness offers heart-rate based interval training in a fun and energizing group environment. Orangetheory Fitness, located in Kalamazoo, is offering KAR members the following membership discount: $10 discount per month off monthly membership. For more information about Orangetheory visit their website at www.orangetheoryfitness.com or stop in the Kalamazoo location to discuss membership and see how Orangetheory Fitness can help YOU become stronger! When signing up for membership, mention that you are a member of Kalamazoo Area Runners to receive the discounted rate*. *Discount is applicable to current and new Orangetheory members! KAR discount cannot be applied if the member is already receiving a discounted membership rate. West Lake Metal Works is a home-based steel and diamond plate design company in Portage, MI. They have premade metal designs for sale as well as the ability to create custom made metal designs. Products include medal hangers, bottle openers, wine racks, signs, key holders, and more. KAR members receive 20% off any medal hangers. Custom orders not included with discount. Check out their inventory by visiting westlakemetalworks.com. The Battle Creek YMCA is dedicated to strengthening the Battle Creek community while building strong minds and strong bodies. 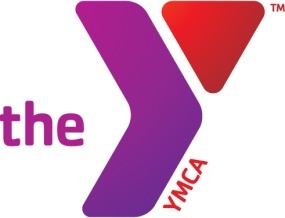 Located at 182 Capital Ave., NE, the Battle Creek YMCA is now offering a 15% membership discount to KAR members! Visit YMCA Battle Creek to learn more membership and use the 2019 KAR discount code when registering.